- ANTOP On-Line Customer Support Team available Mon-Fri 9am to 5pm (pst) offering ANTOP Antenna selection guide and installation assistance service. All ANTOP Antenna products come with 30-day money back guarantee. Visit www.antopusa.com for complete Warranty, Return and Replacement details. - No more bills for watching TV! 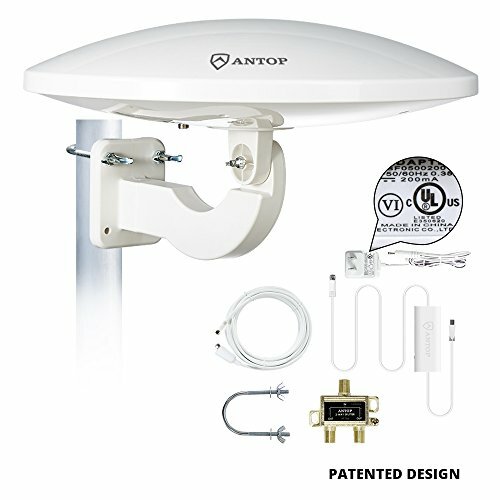 ANTOP HDTV Antenna receives free broadcast High Definition /4K Ultra High Definition Over-To-Air (OTA) TV signals in your local. - Ready to use for 2 TVs, including a 2-way coaxial signal splitter which allowing you to split TV signals to 2 TVs.